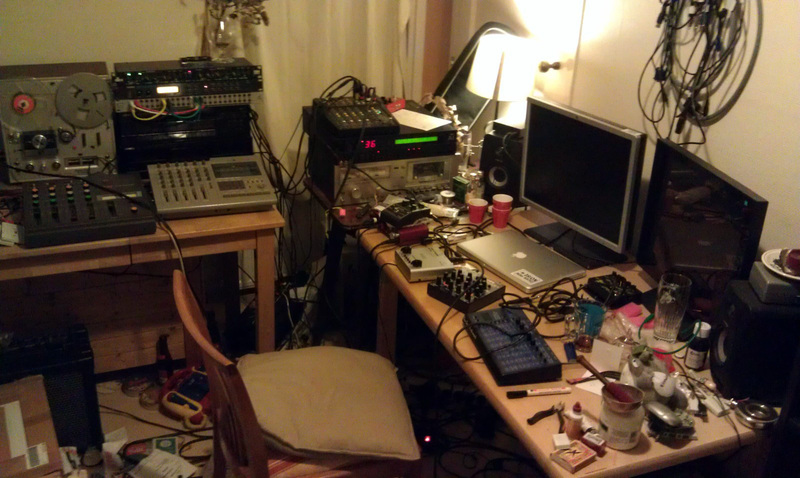 I'll dedicate the first article of the year in this series to tidiness in your home studio. I know it seems a bit off-topic, but trust me it is much more important than it appears at first sight. What can be more annoying than waking up in the morning to find your kitchen still bearing the scars of the previous evening, when the only thing you need is a decent breakfast? The idea of having to clean up before you can get your first bite is anything but motivating. And you have probably decided more than once right on the spot that a quick snack might be a better option that having to do home household work...You can always get some decent food later on, right? And even if you were to find the courage to clean up the mess in a fit of rage, it would only drain you of the energy you would otherwise have spent on cooking. So, what do you learn from this? It's always better to clean up after a meal so the next time you are hungry and inspired you can start cooking right away. But what does this have to do with the topic of the series, you ask? Well, instead of the kitchen, imagine it's your home studio that we are talking about. It's not unusual to leave everything "as is" after a recording session without actually thinking about the consequences this might have the next day. Furthermore, as we've seen in a previous article, the notion of comfort is crucial to creating the right environment for artistic creation. 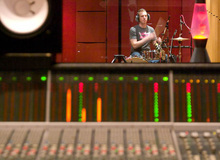 And when it comes to a home studio, not having to worry about stepping on any audio cables, or wondering where you put that microphone or instrument you wanted to use is decisive. To be able to let your creativity flow and make the best of it, you shouldn't have to worry about finding an XLR/jack or having to clear the imposing triple cab you used the day before. And if you don't do this tedious work at the end of the current session you will have to do it before you start the next one, which isn't the best way to start a creative process. I don't know about you but whenever I run into such a situation what was supposed to be an stimulating new session often doesn't even start. And there's no need to say that it's a real pity! So, the moral of the story is that you should always try to tidy up after every recording session, even if the idea doesn't seduce you that much. I know it's not the most appealing plan, but it's really worth it. Trust me, your "future you" will be very grateful. Besides, tidying up after a really productive recording session with the exhilarating sensations still in the air is much less annoying than it seems. Some of you are probably thinking this article doesn't really belong in this series or that I'm just filling time for lack of inspiration today. But give me the benefit of the doubt and really give it a try and start cleaning up after each session. What can you lose? In the worst case scenario, nothing will change for you. However, if like me you suffer from one of this century's worst diseases–procrastination–, chances are your productivity and/or creativity will be able to run unbridled, which can only benefit your work. After all, isn't the goal of this series to help you bring your musical projects to completion in the best terms possible?